We need your input! 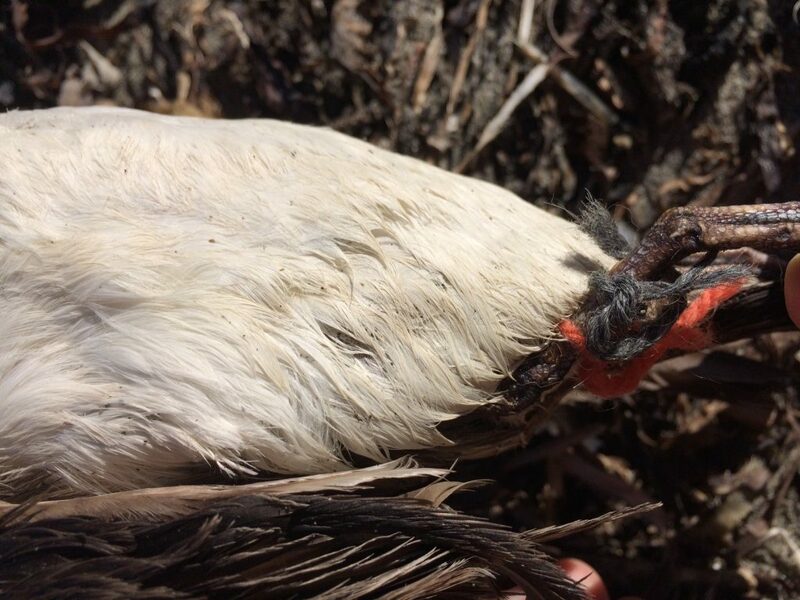 COASST is looking for a new way to track individual birds over time — an alternative to plastic cable ties. Why do we track individual birds anyway? Tagging prevents re-counting a bird on subsequent surveys as though it were a “new” find, and allows us to document re-find rates, persistence, and scavenging of individual carcasses—all pieces of information that are used to estimate deposition and mortality of birds given what was encountered during surveys. 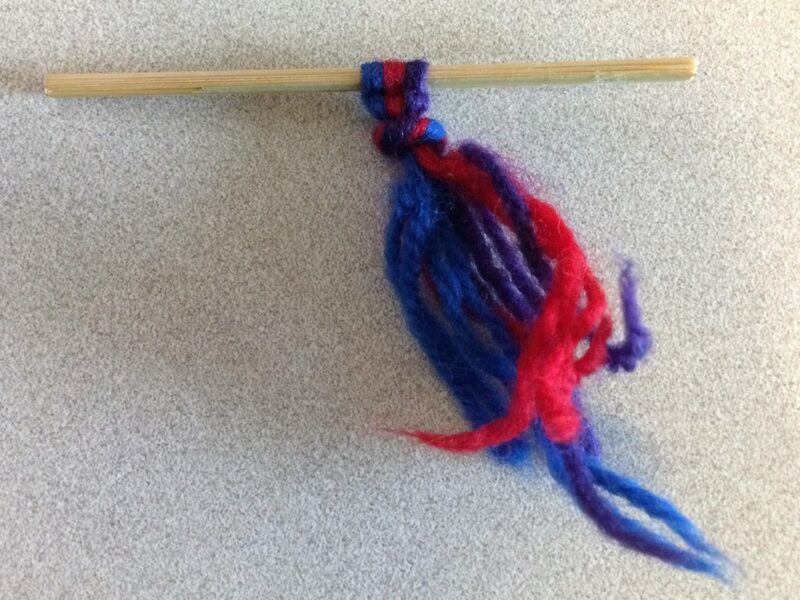 Colorful wool yarn can form a sequence similar to zip ties that stays in order when tied as shown above. The effort to identify a new tagging solution was catalyzed by a letter and sample wool yarn kit from Mendocino COASSTer Deb. For the past year, COASSTers on the Kenai Peninsula (AK) and near Sequim (WA) (communities that were especially eager to use a new material) have been testing and providing feedback on kits modeled after Deb’s. Initial result: yarn provides the right balance of durability and readability, but is quite difficult to apply with gloved hands and in windy conditions. We’re not yet convinced that transitioning to yarn COASST-wide will work, and are hoping to identify a system that is environmentally responsible and practical on the beach. Low environmental impact– what happens to the material after the bird is fully decomposed and washed away? Two new interns, Lex (left) and Yunbo (right) have joined COASST to help develop and implement an alternative to cable ties. 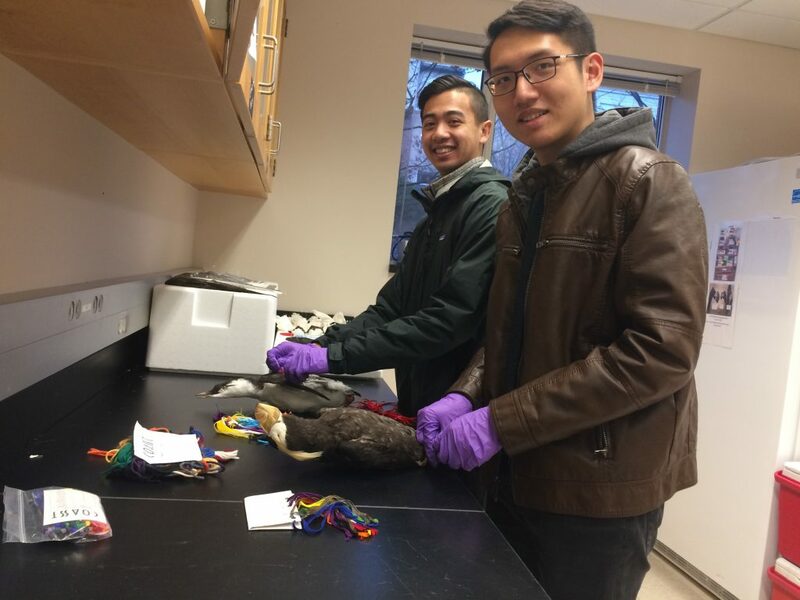 Enter Lex and Yunbo, two University of Washington Program on the Environment Students who are taking on this challenge for their senior capstone project. The duo will be evaluating potential materials over the upcoming winter quarter. Right now, they are assembling a list of potential bird tagging materials, and would like to hear from you! We will be ordering samples before the start of winter quarter (next week)—so please send us your thoughts as soon as possible! Below is the current list. Nail Polish – would be difficult when wet and rainy and would require feet. The applicator may get contaminated with sand etc. This entry was posted in Beached Birds, Marine Debris on December 27, 2017 by coasst.